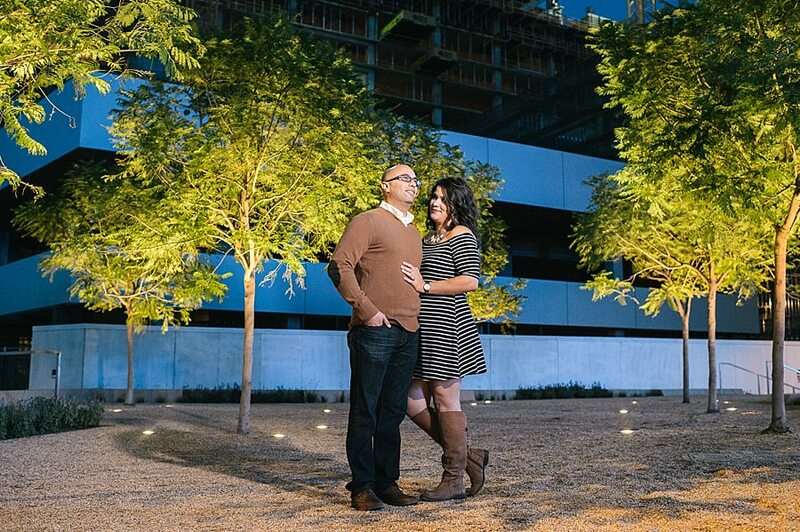 Downtown Sacramento Engagement Session | Tina and Joe - Sacramento Wedding Photographers | Teresa K photography Facebook Twitter Instagram Pinterest Client's Area Search this site. 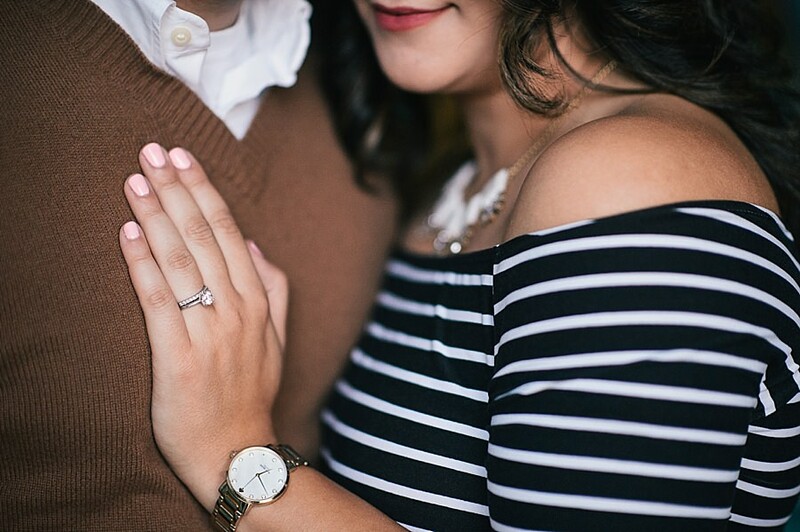 The months leading up to your wedding are such an exciting time in your life! Searching for the right venue, scheduling tastings, and planning out each little details can often become time consuming and exhausting. If you’re moving homes, jobs, or families together- it’s even more work! Of course, it’s all worth it in the end. 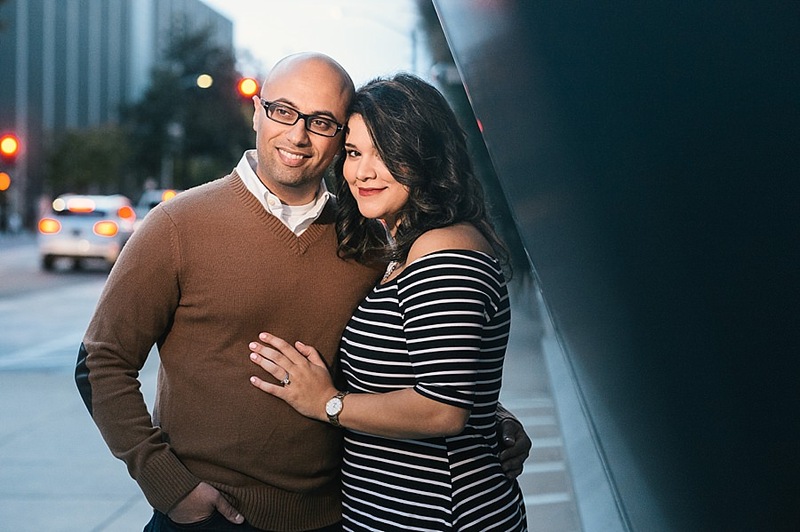 During this time, I find that it’s so important to take a day to stop, breathe, and celebrate the beautiful decision that is bringing your two lives together. 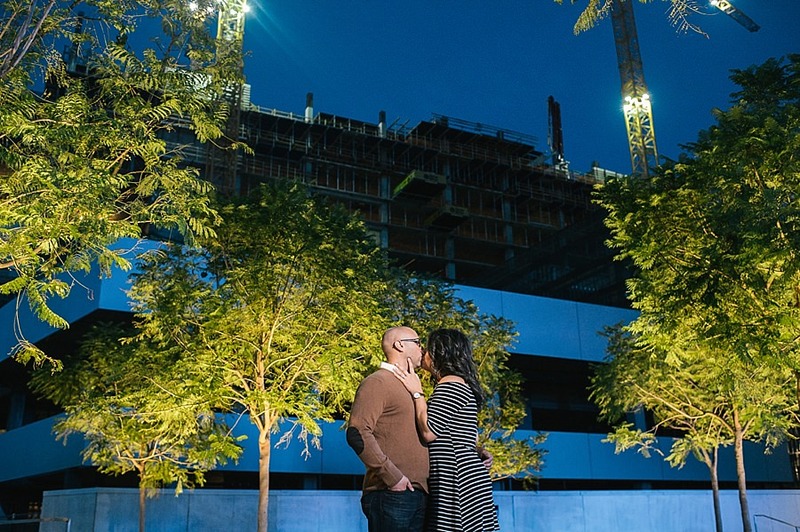 A precious time to reflect and treasure these exciting moments before the big day arrives. 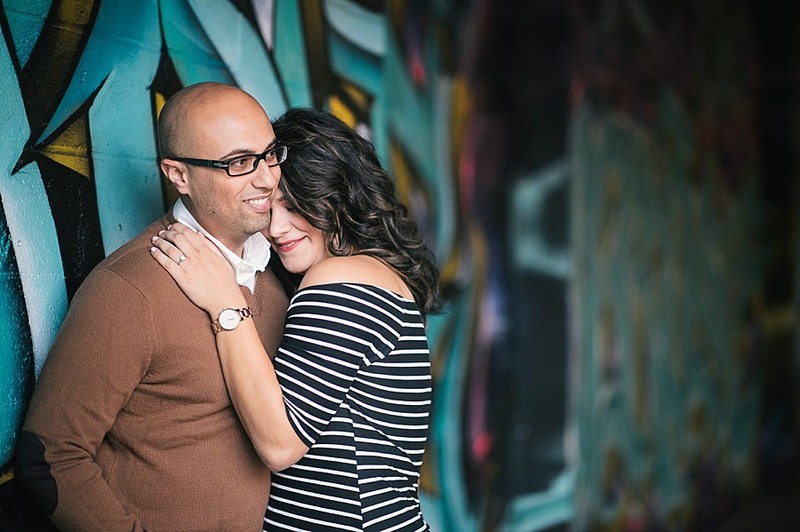 And what better way to do that then with an engagement session with your wedding photographer?! 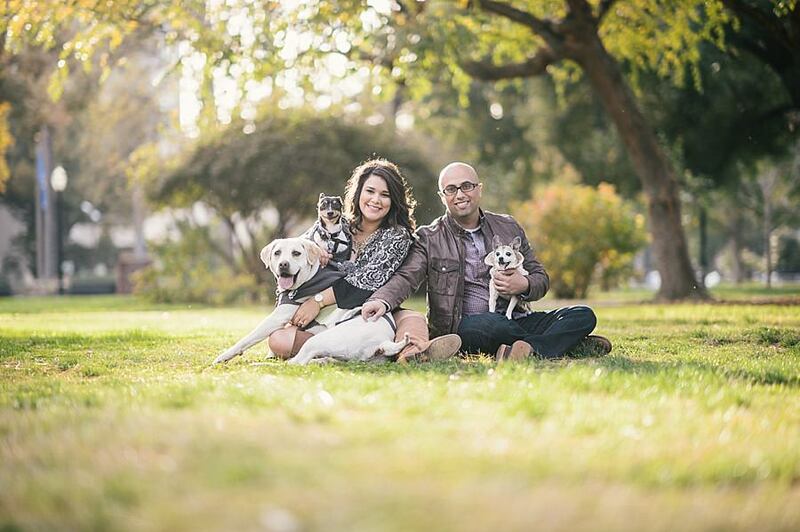 Tina and Joe are planning their wedding and are working with a blended family- of furry children. It always cracks me up to see how much personality is packed into their little wagging bodies. 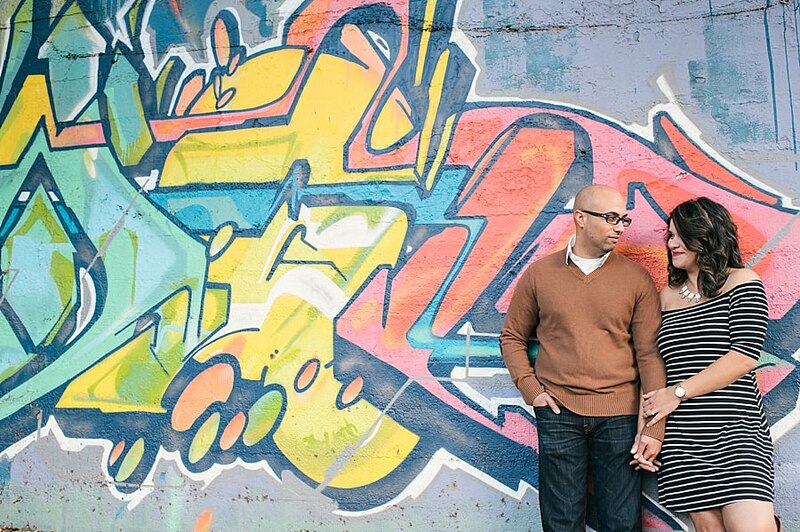 Just like kids, each has their own quirks, idiosyncrasies and preferences. 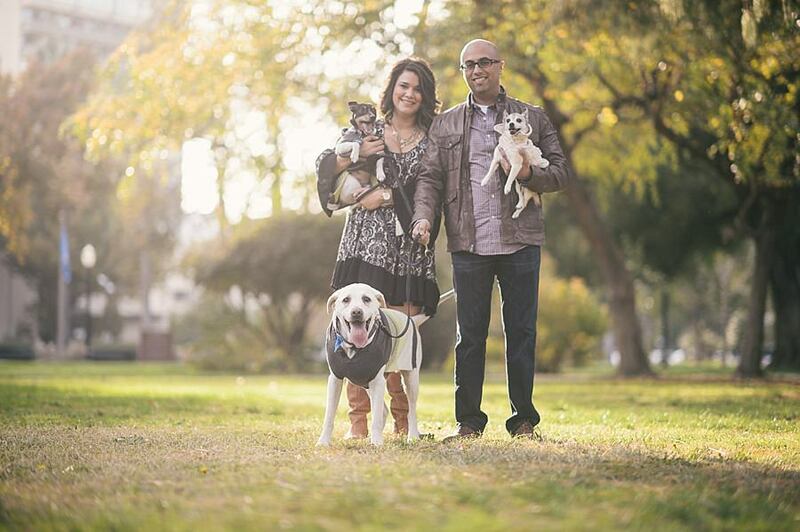 Seeing as these pups are a huge part of their growing family, we of course had to incorporate them into Tina and Joe’s engagement session. Again, just like kiddos, they were a little rambunctious and it made for a session a fun, hilarious, laid back ball of chaos… And fur. 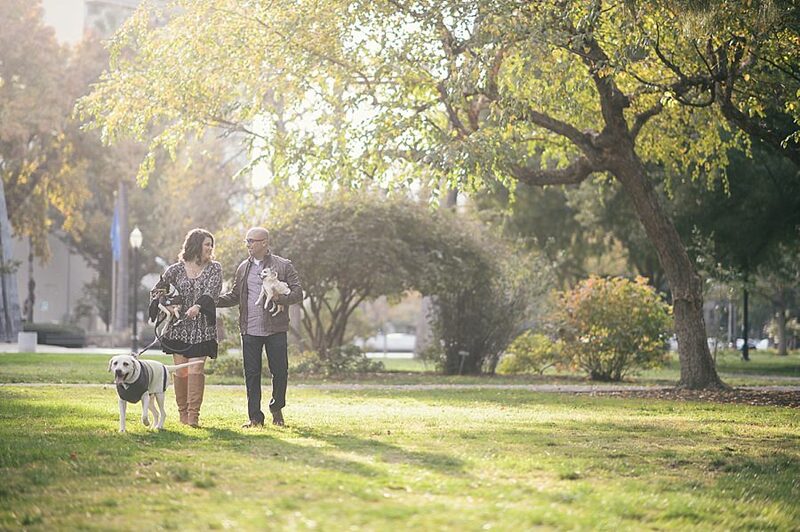 Capital Park was the perfect place for them to run around and celebrate Mom and Dad’s upcoming nuptials. 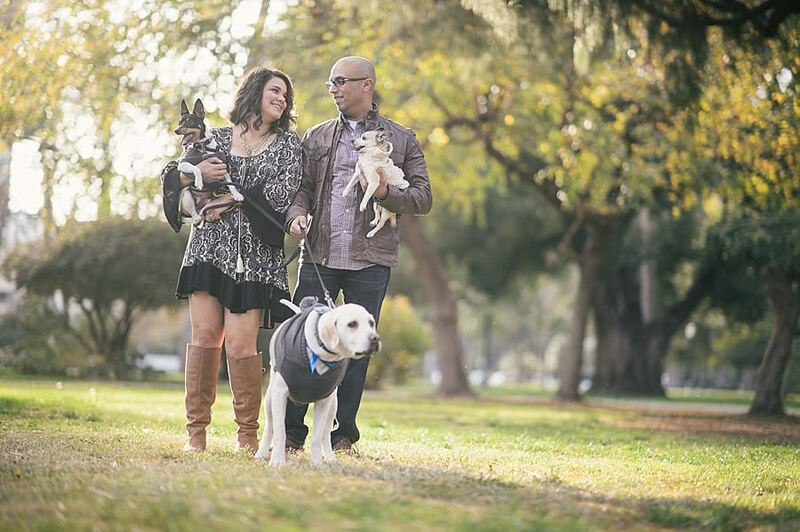 We truly were able to capture some wonderful family portraits. 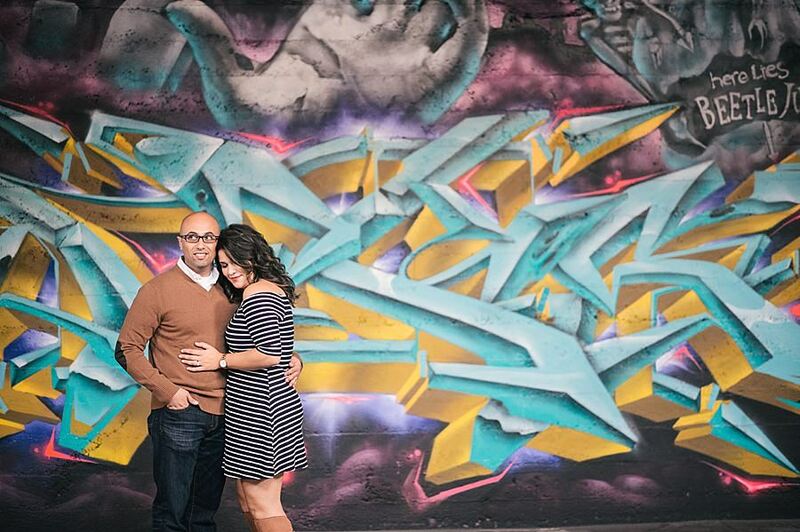 Tina and Joe are both really big Sacramento Kings fans, and love the whole downtown Sacramento area. 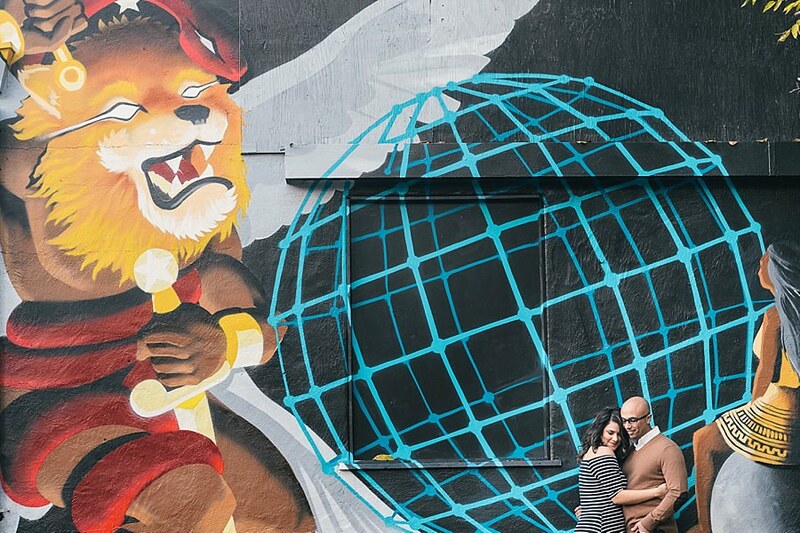 We found a great graffiti wall for some fun shots, and also went to the new Golden One event center. 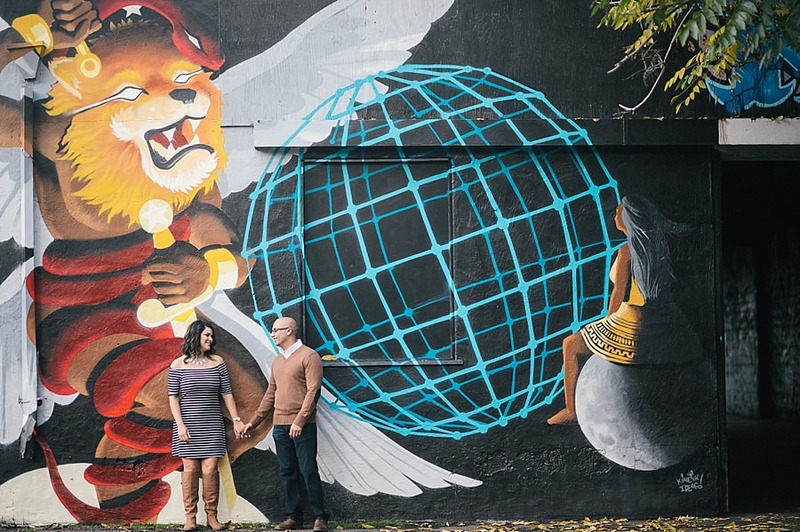 The variety in locations helped develop an eclectic and diverse collection, while capturing multiple aspects of both Tina and Joe’s personalities. 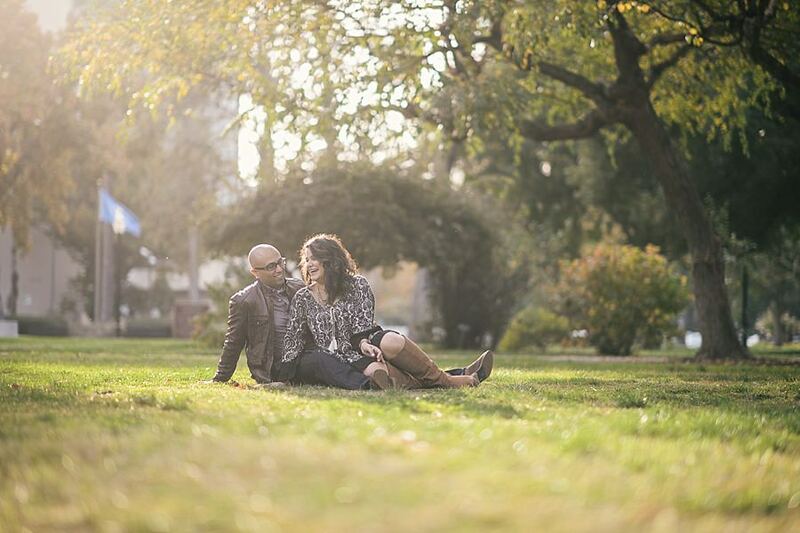 It was the perfect downtown Sacramento engagement session! 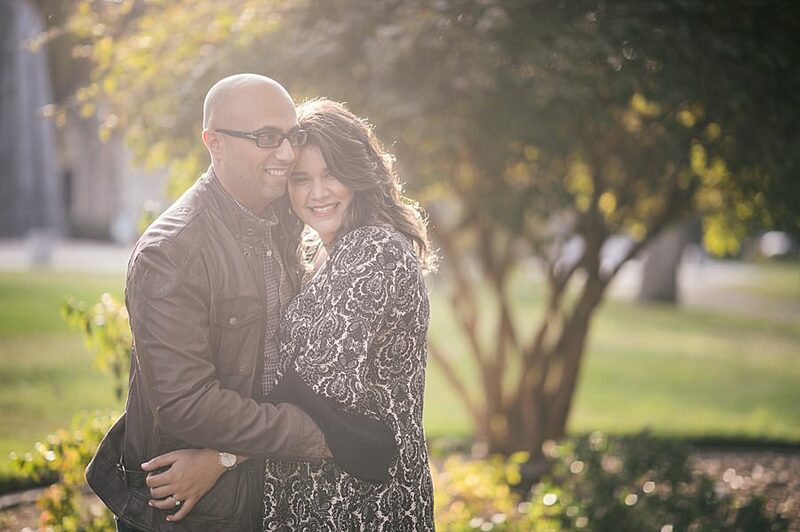 These two were such a sweet and fun couple to photograph, and although Joe was a little camera shy, Tina was able to get him to give her a kiss by the end! I know these two have a bright future ahead, and their blended family will be together fur-ever! 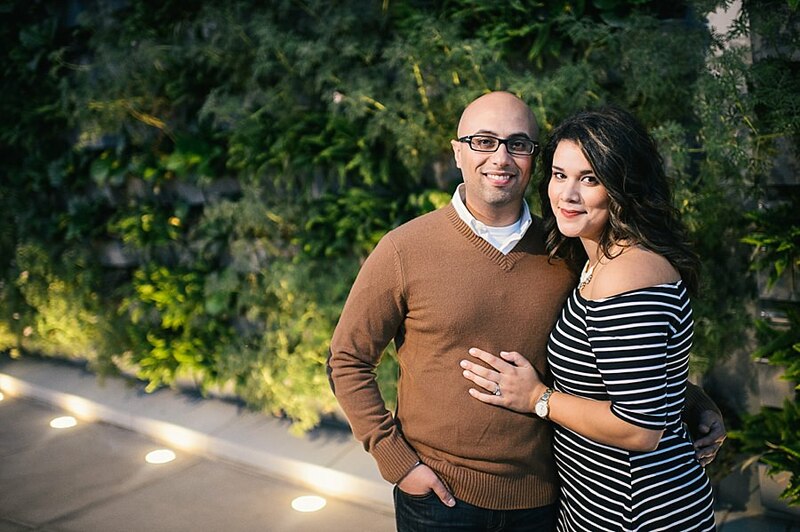 I can’t wait for their wedding this fall! !